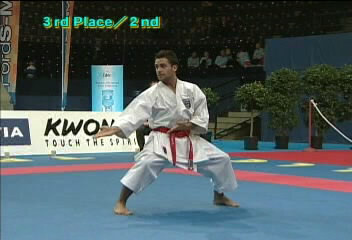 A very nice Gojushiho Sho kata from Shotokan version performed by Jonathan Mottram from England. 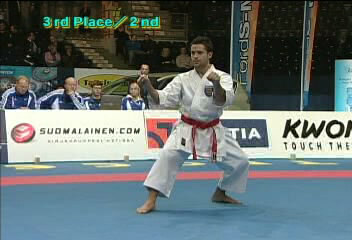 This kata was performed in 2006 against Antonio Diaz for 3rd place. Gojushiho Sho Shotokan | Performer: Jonathan Mottram | Duration: 00:02:11 | Format: mpg | Video Size: 21,8 MB | Player: Windows Media Player or Media Player Classic. 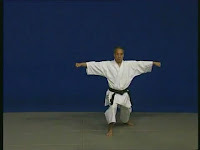 A tutorial of Jion kata from Shito-ryu version performed by Hidetoshi Nakahashi. Jion Shito-ryu | Performer: Hidetoshi Nakahashi | Duration: 00:01:29 | Format: mpg | Video Size: 13 MB | Player: Windows Media Player or Media Player Classic.